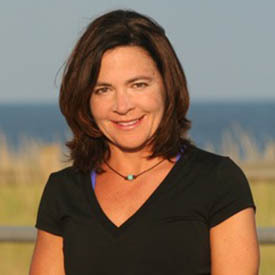 Kathleen Carroll is the President of The Branding Clinic, a company she founded in 2000. She helps some of the most prominent household brands reposition themselves to achieve double-digit growth. Some of her clients include: Abbott, American Express, Avon, Bath & Body Works, Benjamin Moore, Cendant, Domino Foods, The GAP, Glaxo-Smith Kline, Johnson & Johnson, Playtex, Samsung, Stryker and Unilever. Her fingerprints are on many recognized marketing successes including Unilever’s Simple skincare, Citibank’s U-Promise credit card program. Benjamin Moore’s Aura Paint and Procter & Gamble’s Puritan (Crisco now) cooking oil. She is often hired as a branding, positioning, new product development and insights expert by other consultancies and agencies. She gained her experience in top-notch marketing and consulting organizations including Procter & Gamble, Marketing Corporation of America and CNBC.com where she held senior marketing, consulting and CMO roles. She graduated from Cornell University’s accelerated, advanced dual-degree program with a BS in Food and Retail Marketing and MBA in Marketing. She is an annual judge for the HSMAI Advertising Awards for the hotel, travel and tourism industry. She is an officer in the highly prestigious President’s Council of Cornell Women and actively lends her marketing expertise to several not-for-profit organizations. Kerry Fitzgerald is a Financial Advisor at Morgan Stanley. She thoroughly enjoys the opportunity to support women in their pursuit of sound and disciplined financial planning by applying her extensive professional and personal experience with her passion for investing. Kerry has over twenty years of financial services experience within both USA and non-USA based financial services corporations including Credit Suisse, Merrill Lynch, Canadian Imperial Bank of Canada, and Mitsubishi Bank. She began her career at Price Waterhouse where she was a consultant. Kerry earned an MBA from Pace University as well as a BA from Binghamton University and spent time studying overseas in the United Kingdom at Brunel University. Kerry is married with two daughters and is a very active member of the Woman’s Club of Ridgewood, which is dedicated to enriching the lives of women and children in need within the greater Ridgewood community by supporting local charities. In her spare time Kerry enjoys tennis, golf, travel and being an enthusiastic spectator at her children’s sporting and entertainment events. 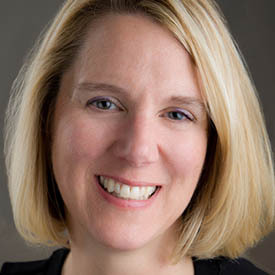 Becky Fleischauer is the founder of Navigator Communications, an issues advocacy and communications firm serving clients whose work enlightens, promotes health and creates opportunity. She has more than 20 years of media and communications experience and loves a challenge. Prior to starting her own business, she was a vice president at GMMB, a nationally recognized public affairs and issue advocacy firm. At GMMB, Becky helped manage the communications planning and media outreach for the Bill & Melinda Gates Foundation’s education division, as well as the American Beverage Association’s campaign to reduce childhood obesity, the Pew Center on the States Government Performance Project, the National Governors’ Association, Civic Enterprises’ National Summit on America’s Silent Dropout Epidemic, and the Jack Kent Cooke Foundation’s Young Scholars Program. Before joining GMMB, she was a U.S. Senate press secretary and led media efforts for the National Governors Association, the National Education Association (NEA) and NeighborWorks America. Her work in producing the NEA’s Crisis Communications guide received an International Association of Business Communicators (IABC) Silver Inkwell award. Cherylyn Harley LeBon is a lawyer and public affairs executive with almost 20 years of experience in Washington, D.C. and is the President and CEO of KLAR Strategies. She provides grassroots/coalition development, strategic counsel, and media strategy to executives, corporations, trade associations, and non-profits. She has worked as a political appointee and senior executive in the federal government and as a Vice-President of Public Affairs for a national trade association where she directed media and communications strategy; health coalitions, and corporate partnerships. Additionally, Cherylyn served as a Senior Counsel with the U. S. Senate Judiciary Committee was responsible for judicial nominations, the Department of Justice oversight, and civil and human rights. She writes about policy, business and legal issues for a variety of publications including BlogHer, The Blaze, and She Owns It, and serves as Co-Chair of Project 21, a leadership network with the National Center for Public Policy Research. 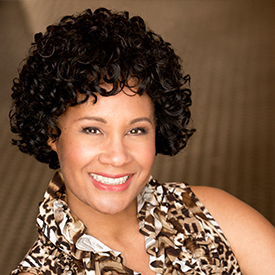 Cherylyn is a regular guest and commentator on nationally broadcast radio and television programs. 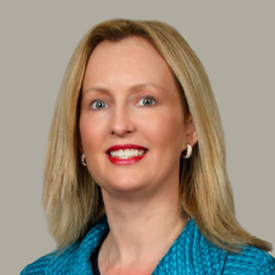 Claire M. S. Meade is a Vice President, Financial Planning Specialist at Morgan Stanley where she holds the Family Wealth Advisor designation. Her practice focuses on financial-planning based investment management – working with clients to develop personalized financial plans by helping them to set specific goals and objectives to plan for retirement, to make investment decisions, and to manage their insurance needs. Her clients are busy people – working together, Claire worries about their retirement so that they don’t have to. She hosts a popular quarterly educational luncheon called Moms at Work: News You Need to Know for her clients and associates. She has served on the boards of non-profits such as Let’s Help Kids, the elementary school’s PTA, and Bite Me Cancer as well as the for-profit Success in the City. Claire currently serves on the board of WWLI.org (Washington Women’s Leadership Initiative). She has presented workshops for the workforce development program at Northern Virginia Family Service Training Futures and was a founding member of the ground-breaking group W.E. L.E.A.D (Women Engaged in Leadership, Education, and Action in Democracy). She received her Bachelor of Arts degree in Rhetoric and Communication Studies from the University of Virginia as well as a Masters of Education. Married to her college sweetheart, she is a life-long resident of Northern Virginia where they reside with their two sons and their dog, Savannah. Donna Rosenstein is the head of casting at Amazon Studios, whose original series slate continues to grow rapidly, including Transparent and Man in the High Castle. She has been the casting director on such series as ABC’s Castle, NBC’s Grimm, CBS’s Zoo and Ghost Whisperer, among others. 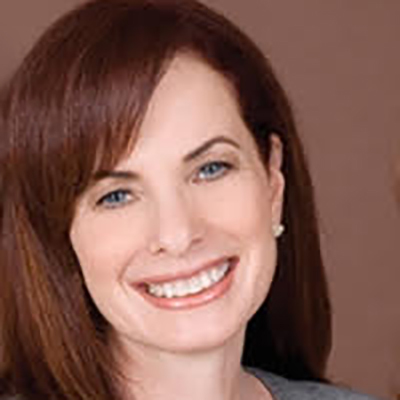 Prior to building Donna Rosenstein Casting, she was the head of casting at the ABC network overseeing such acclaimed shows as NYPD Blue and Twin Peaks. Donna lives in Los Angeles with her husband, Marc Robinson. Her daughter Georgi Jacobs and stepson Zach Robinson also live in LA and work in the entertainment industry. Donna has an wonderful, incredibly close relationship with her daughter Georgi who she raised by herself for over ten years. Kelly Watson is the National Service Group Leader of KPMG’s Risk Consulting Practice, supervising a team of more than 7800 partners and professionals who provide the risk and compliance insights organizations need to protect themselves and grow. 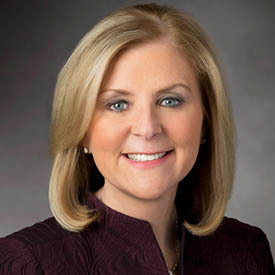 Prior to accepting this position, Kelly was for six years the first woman ever to serve as the Office Managing Partner of the firm’s Short Hills Office, which houses more than 1100 people who serve the state’s largest companies and mid-market clients. Risk Consulting professionals help organizations transform risk and regulatory compliance into competitive advantage. They identify how businesses’ corporate strategies can expose them to various forms of risk – ranging from failure to adapt to fast-changing regulations to susceptibility to cybercrime – and help them avoid those pitfalls while maximizing value. Kelly has 27 years of global auditing and advisory services experience serving the pharmaceutical, biotechnology and industrial product industries, and also has experience in acquisitions and regulatory and compliance issues. She previously served on KPMG’s Legal, Risk and Compliance committee, and in October 2013 was elected by her fellow partners for a five-year term on the KPMG Board of Directors, where she sits on the Professional Practice Ethics and Compliance and Nominating committees. She is the global lead partner on a number of priority accounts and serves as an account executive on two SEC audit clients. Her international experience includes more than two years in the KPMG Czech Republic member firm’s Prague office. During her time abroad, Kelly served on several global accounts and helped establish and develop the Central and Eastern European practice training program. Kelly’s leadership has been widely recognized. 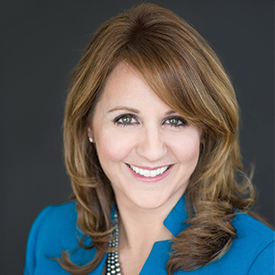 In 2014, she was honored by the Executive Women of New Jersey as an influential policy maker in the State, and by New Jersey Business magazine as a top managing partner. In 2010, Diversity Inc. named her among their “Women Worth Watching,” and she received the Helen Keller “Women Who Make a Difference” and the Boy Scouts’ “Woman of the Year” awards. In 2008, she was Garden State Woman magazine’s “Woman of the Year”; in 2007, she was named one of the Best 50 Women in Business by NJBIZ and won the YWCA Tribute to Women in Business Award. Kelly received a BS from Fordham University in public accounting and finance. She is a certified public accountant in New York and New Jersey and a member of the New York Society of Certified Public Accountants and the American Institute of Certified Public Accountants. Kelly and her husband Derek Watson have two children, Victoria, 16, and William, 14.